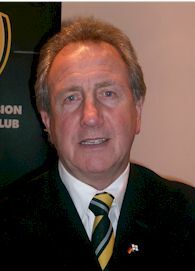 Rams legend Roy McFarland has urged all supporters to have patients with Nigel Clough and not to expect too much in his first year as manager. Clough has succeeded in his first mission, which was to keep the Rams in the Championship and those at the club know that the job of improving the squad will take time. McFarland stated that “There will be no transformation overnight” but went on to say that he wished Nigel success as the loyal fans who pack Pride Park week in week out deserve a team that is going forward.